British pop star Mika said his confession to Instinct magazine last month that he is gay, came from a place of ‘confidence and joy’, which gave him the strength to deal with any fall-out from his Lebanese family. In an interview with Metro, the singer said: “I was scared of not being accepted by my family. “No one in my family is gay. No one in my extended family is gay”. ‘It was a very foreign alien thing. You’re scared of being judged. Then you realise there is nothing to be afraid of if you are happy. I fell in love. I lost love. I got it again. ‘I started living my life and got to a point where I was like “You know what, I’ve lived my life and never pretended to be anything else”. Hitting his stride, the Grace Kelly singer said: ‘I’m not afraid any more because I am quite happy and quite confident. The star also told how playground bullies held him back at school. As a teenager, Mika said he felt ‘ostracised’ from the people around him and he did not know how the ‘weight around his shoulders’ would ever be lifted. To break free he decided he needed a ‘get out plan’ which came in the form of music. The singer said he would not talk about his boyfriends except through his songs as he said he was still ‘very guarded’ about his private life. ‘The lyrics are all about me,’ he explained and warned his exes to watch out for a few surprises. ‘It’s always hard. When you write songs, it’s always quite a selfish process. It’s always at the expense of someone. Even if the song is about you, it’s always going to involve someone else. 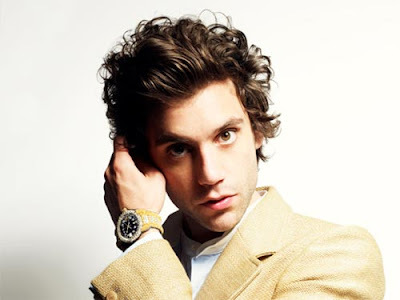 ‘So it feels like you are sacrificing people a little bit but you hope maybe if the song is good enough, they’ll forgive you.’ Rumours surrounding Mika’s sexuality have been rife since he broke on to the music scene in 2007.